Remember this Wednesday. It will live on in infamy. It’ll be the last one you have to get through without help from a 6,000-square-foot emporium of pork-belly tacos and hibiscus margaritas. Somehow, you’ll have to find the strength. 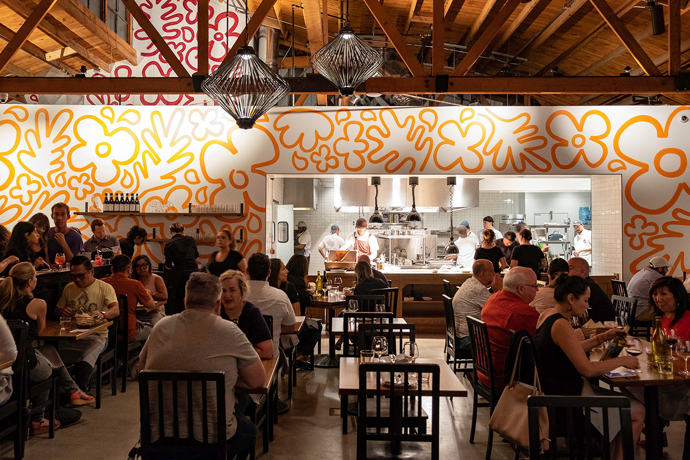 Open your arms wide and welcome 3Dog Cantina, a truly vast hall of inventive Mexican food and also maybe a little tequila, soft-opening next Wednesday on Cahuenga in Hollywood. And really, next time you want to fuel up before putting in your time at the clubs—or catch the game with a pile of carnitas-topped nachos at the bar—all that would be more than enough. But keep going, all the way through the back—or just come around through the separate alley entrance if this is a hush-hush margarita session you’re having—and you’ll find a discreet, overgrown enclosed patio. And past that... is the alley.